When the Empress gained control over the children´s situation, she appointed a new tutor for him, Colonel Latour, who already earlier had shown great understanding and sympathy for the little Crown Prince. Under his wing the young boy recovered rapidly and was able to develope his intellectual abilities. But the young boy was to be somewhat alienated from his mother aswell, the Empress had fled from the court and the city to live long periods abroad. 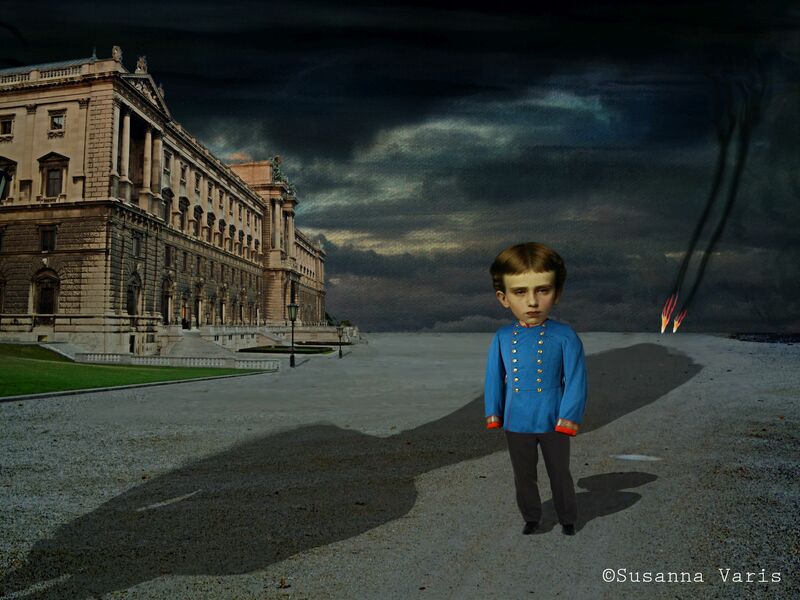 Det här inlägget postades i Egna verk, historia, Konst, kultur, lowbrow, pop surrealism och har märkts med etiketterna archduke rudolf of austria, art, digital, digital assemblage, empress elisabeth of austria, habsburg, hofburg, konst, lilycrow - art of susanna varis, rudolf, sisi, sissi, the tale of the empress, vienna, wien. Bokmärk permalänken.